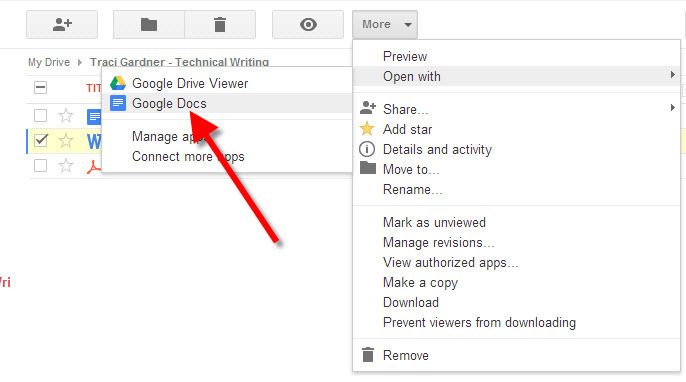 The files that you share in class and submit for grading need to be in Google Drive format so that we can use the commenting tools built into Google Drive. These instructions will tell you how to check your files and how to convert them if necessary. 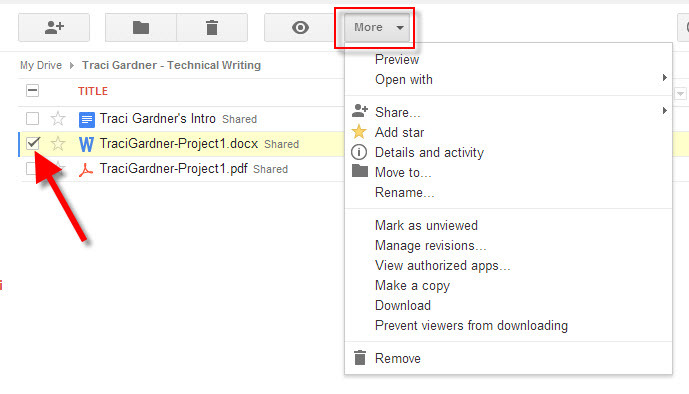 If the file you want to share is in Google Drive format, you’re set. No conversion is necessary. Otherwise, move on to the next step. Click the More menu above the file list (shown in the red box in the image above). Wait while Google converts the file. The document that opens is converted to Google Drive format and will be listed in the file list on your Google Drive page. Share this version so that we can comment on your work.